The latter, I think, points out one of the weaknesses of the book: that you are expected to live in the head of various characters, including two Japanese generals, Dorrigo’s lover Amy, a Korean soldier serving in the Japanese army, and various others, whilst his own story unfolds. By shifting from one pov to another this weakens the believability of the main character, Dorrigo. It would have been better if he had witnessed the account of the Korean soldier’s cell after the war, or if he had spoken with one of the Japanese colonels, or been witness to what happened to them. As it is, we have to believe that these seemingly unrelated chapters give us the ‘real’ characters, the persons as they played their part in Dorrigo’s life, even if he can have had little knowledge of their thoughts or behavior once the war was over. Having said that, I liked reading this book. I read it for the first time on my Kindle when I was in Singapore, in September 2014. As indicated in the chapter where Dorrigo writes the introduction to the book of Guy Hendrick’s (or Rabbit Hendricks as his fellow soldiers call him) illustrations of the POW camps, the story is about the end of one empire with the fall of Singapore and another empire that then rises. 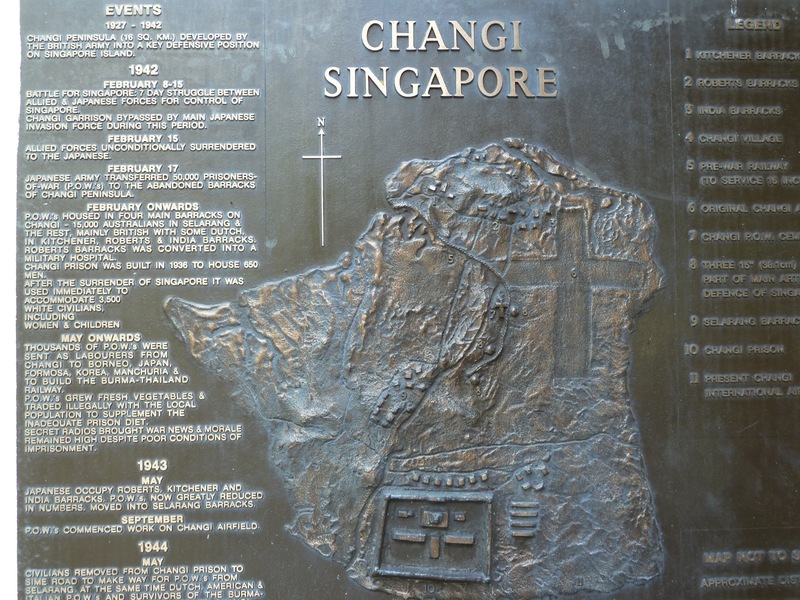 In fact, I went by bus to Changi museum (and chapel), about five and a half kilometers from central Singapore, just outside Changi village and close to the airport. The Japanese occupied Singapore from 1942 to 1945 and turned the British-built barracks in Changi into a POW camp. This also, like the POW camps we encounter in ‘The Narrow Road to the Deep North’, was a notorious hell hole, where thousands of military and civilian prisoners were interned, enduring appalling conditions. Once Dorrigo has finished editing Hendrick’s book he felt ‘it was one more failed attempt by himself to understand what it all meant….’ (p.25). I had a similar feeling when I filed past the pictures and accounts exhibited in the museum: it’s almost too big and awful to take in. The title ‘The Narrow Road to the Deep North’ comes from a haiku that is much admired by the two Japanese officers, who share a passion for haiku’s and reflect on the greatness of Basho’s great haibun (see Chapter 16, p. 125) which, according to colonel Kota, sums up the genius of the Japanese spirit. Building the railway line is not just about building it, not even about the Europeans having to learn that they are not a superior race, rather it is about the Japanese learning that they are! The book tries to do a number of things and the question is whether it manages to do all of them satisfactorily. The love story: Dorrigo’s background is poor and unsophisticated, and one which he intends to escape by marrying rich and beautiful Ella who comes from an old-established family. Dorrigo studies medicine and has a promising career ahead of him. He is a keen reader and devours books. Nevertheless he falls in love with the second wife of his uncle, Keith Mulvaney. This love story is slightly unsatisfactory: some of the descriptions are over the top and ring false, as if Flanagan is running away with himself and his literary gymnastics: also these sections seem to swing between Amy’s pov and Dorrigo’s pov and Dorrigo can have had little knowledge of what Amy was thinking, except for what she tells him. There are endless ruminations about how each of them feels, which ring untrue, or some of them far-fetched, see Ch.19 onwards. Dorrigo’s marriage to Ella: Ella must have been an important part of his life; yet, we never get a full picture of her. She has become a loser, somehow, one who sticks with her man. But is this realistic? She is completely in the background but somehow there is the implication that she may have known about Amy and therefore purposefully includes an account of her death in her letter. The loss of love. Whilst still in Europe Ella writes him a letter in which she relates the explosion in which, she writes, both Keith Mulvaney and his wife Amy died. At the same time, Keith tells Amy that Dorrigo has died in the POW camp. This is quite convenient perhaps but to me I cannot help but feel that the real Dorrigo would have searched for Amy on his return, if his love was as deep as the book claims it is. He would have followed up on the story perhaps. Was there a funeral? A grave to go to? After all, Australia itself must have been a fully functioning nation, as war had not encroached on its territory. So there would have been a funeral and there should have been a body. Perhaps there are a few more stories in there and because of the number of these and the way they are told by different people, it may be inevitable that we get such disconnected views of who Dorrigo (Alwyn) Evans is – we never root for this character who seems to be many, he remains obscure, distanced from his readers, in all his different guises: boy from poor background, lover of Amy, medical man, colonel in the army, in charge of the camp hospital, husband of Ella, well-known surgeon in Australia, war hero, philanderer, etc. 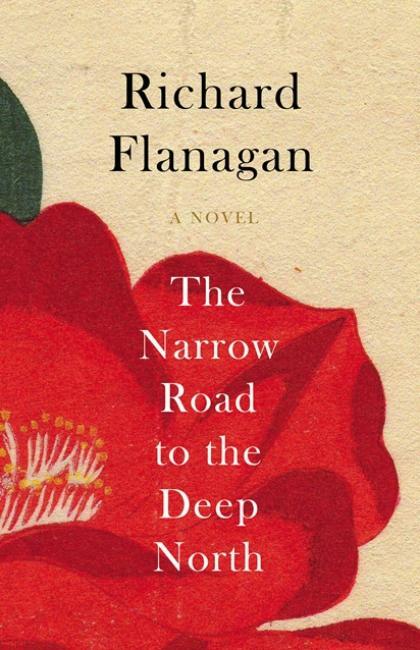 Nevertheless, I liked the book and read it again for the book club a year later, with as much involvement as when I read it the first time, searching for a core of Dorrigo and wondering if in the end all our lives consist of similarly disconnected stories. I think mine does. There is also a lot to think about when coming face to face with some of the atrocities that happened so long ago now and so far away from Europe, events that were little elaborated on in my history lessons at school. Can you please explain to me the ending?